Sorry for missing the last couple of weekends, but if you’re looking for some music related stuff to visit around the web, here are my weekend picks. Are you a trombonist working on solo repertoire, like the Hindemith Sonata, Creston Fantasy, or Larsson Concertino? You might want to practice with an accompanist, but it can be expensive to practice a lot with a quality pianist. Laine Lee has got you covered, with free downloadable midi files of the accompaniment parts for those pieces – and several others. Thanks, Laine! Do you like Latin music? Me too. Would you like to learn more about the musicians and development of the diverse musical styles that fall under the umbrella of “Latin music?” Check out Latin Music USA and watch this great PBS documentary. 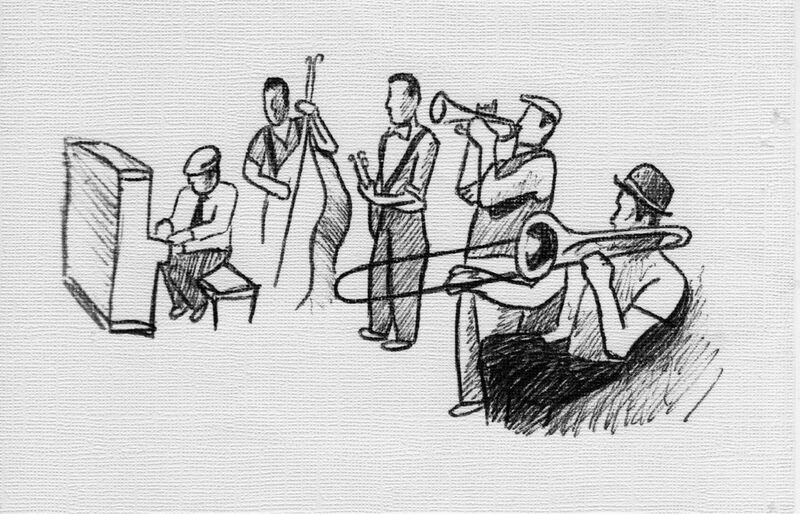 Have you ever hear been at a jazz club and heard the following conversation? Hey, man. Hip that crazy chick over there. Don’t embarrass yourself at your next jazz gig. Learn to speak jive. Lastly, you should take a few minutes and learn a little bit about Carol Kaye. You may not know her name, but you probably have heard her play bass. It’s unfortunate that the full documentary was never made. Got a cool music related link? Post it in the comments or drop me a line. I’m performing this Saturday, May 31, 2014, at Highland Brewing Company in Asheville, NC. They always have an eclectic mix of music going on there. A couple of weeks ago I performed with a traditional jazz band there but this Saturday I’ll be playing salsa with Montuno. We perform from 6:30 PM to 8:30 PM. Montuno is a fun group to play with. We typically perform for salsa dancers and frequently dance instructors will come out early and give basic salsa dance lessons before we play (I don’t think this will be happening on Saturday, but there will probably be some experienced dancers there). Highland Brewery is also a great place to perform. When the weather is nice they have an outdoor stage. Normally I don’t enjoy performing outdoors, but they did a great job building the stage and the sound technicians I’ve worked with there are very good at setting up monitors for the band and mixing the sound well for the audience. Highland Brewery is also a very family friendly venue and many parents will bring children there. They set up all sorts of games for children (and adults) to play out on the lawn there. If you get the chance to come on out, please come up and say hello during a set break or at the end of the show. Today, May 26, 2014, is Memorial Day in the United States. We honor the men and women who served our country and made the ultimate sacrifice. Here is the Trinity Jazz Orchestra performing my big band arrangement of the theme songs of the five branches of the U.S. armed forces. I’ve got a couple of public gigs this weekend to plug. Tomorrow night, Friday May 16, 2014, the Low-Down Sires will be performing from 6:30-8:30 at Highland Brewery in Asheville, NC. This is a free show and is also family friendly. Weather permitting (and the forecast looks good) we’ll be performing outside. The next night, Saturday May 17, 2014, we’ll be performing for the Triangle Swing Dance Society at the Carrboro Century Center in Carrboro, NC (near Durham, NC). The dance kicks off with lessons at 7 PM and we’ll be performing from 8 until 11 that night. If you’re in one of these areas come on out to listen and dance to a great dixieland band. Be sure to say hello on one of your set breaks! It’s Friday so here are some interesting links I found for you to surf this weekend. John Morton writes about the Rise and Rise of the English Brass Band. Depending on where you live there may be a community brass band you could join. There are also some brass bands that perform some of the finest brass music around. Take a look at John Coltrane’s handwritten outline to A Love Supreme and learn a little bit about the creative process of one of the greatest musicians ever. Here’s a list of 10 Best Uses of Classical Music in Classic Cartoons. He listed some of my favorites. Did he miss any of yours? And finally, Mystery Science Theater 3000 presents, Mr. B Natural. It’s been a busy last couple of weeks for me, so I apologize for the lack of recent new content. One of the reasons I haven’t been able to blog lately is because I’ve been doing a lot of performing. I’ve got two public gigs this weekend keeping me busy for a while longer too. 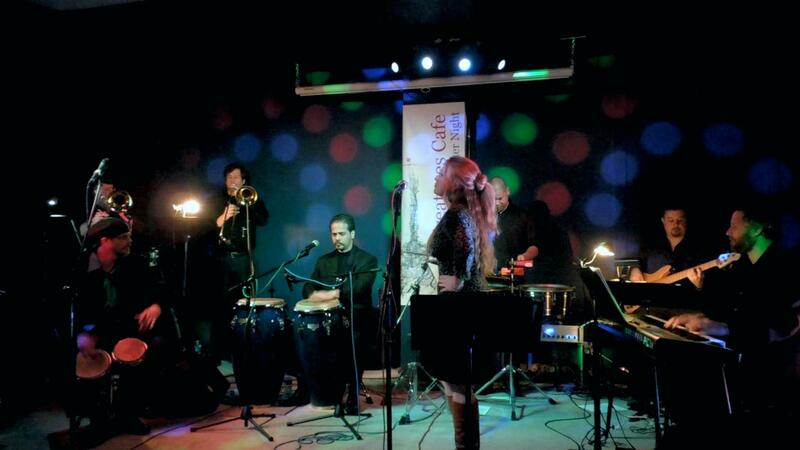 Tomorrow evening, Friday, May 9, 2014, I’m performing salsa with Montuno at the bi-annual Lake Eden Arts Festival. Playing LEAF is always a good time. The crowds are super appreciative and open to lots of different musical styles. They always treat the artists at LEAF well and it’s cool to wander around when I’m not playing to check out the other bands. Montuno will be performing from 8:30-9:30 PM at the Brookside stage, if you’re going to be at LEAF this year. There will also be a salsa dance class there just before we go on, taught by Hector Hernandez and Jennifer Stalnaker. The next day, Saturday May 10, 2014, is the annual Morganton Jazz Festival. The Asheville Jazz Orchestra will be performing at the Morganton courthouse lawn beginning at 4 PM and we’ll play until 5:30. There’s a lot of other great jazz that will be performed this Saturday, including the Lenoir Saxophone Ensemble at 2 PM at the courthouse lawn. I wrote several jazz arrangements for Lenoir Sax a while back and rumor has it they may be performing some of them at this show. If you do make it out for either of these shows please be sure to come say hello after the set! It’s Friday. Here are some random music related things around the web to educate and amuse you. Are you a classical music fan? If so, embrace your inner geek and thrill in the 10 Geekiest Moments In Classical Music. Did they miss any that you think should have made the list? Are you a jazz musician? How many tunes do you know? Does it take you a long time to learn new tunes? Eric has some advice on How To Completely Learn a Jazz Melody In 30 Minutes. Do you ever feel like you spin your wheels in a practice session? Annie Murphy Paul wrote about the Myth of ‘Practice Makes Perfect’. Finally, take a look at my next practice project, Etude 6. I’ve got a couple of public gigs this weekend for anyone hanging out in western North Carolina. Friday night, May 2, 2014, I’m playing dixieland jazz with the Low-Down Sires in downtown Asheville, NC. We will be playing at the 5 Walnut Wine Bar from 9 PM to midnight. Last time we played there they ended up pulling out a couple of tables to make room for dancers. 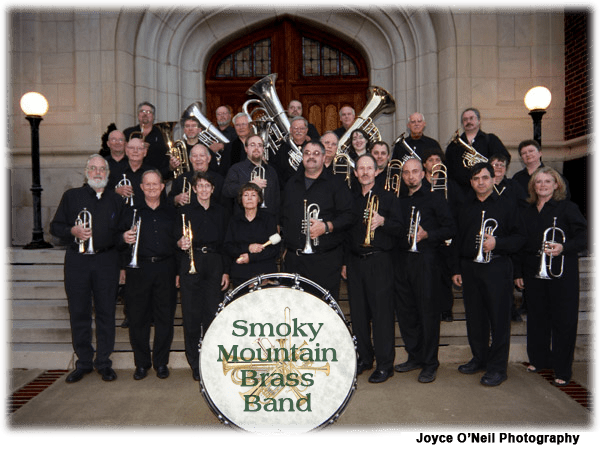 If you’re interested in something completely different, I will be conducting the Smoky Mountain Brass Band the next afternoon, Sunday May 4, 2014. We will be performing at Hazelwood Baptist Church in Waynseville, NC. We’ll start at 5 PM and it’s a free performance, although we will be collecting donations. There are a couple of marches on this concert and a beautiful brass band arrangement of Eternal Father Strong To Save by Jacob de Haan. We’re also performing the Variations for Brass Band, by Ralph Vaughan Williams. Vaughan Williams composed that piece specifically for the British brass band instrumentation. If you miss Sunday’s Smoky Mountain Brass Band concert (or really want to hear it again) we’re performing the same program next Tuesday, May 6, 2014 at the Parish of St. Eugene in Asheville, NC beginning at 7 PM.